These are the books that have shaped my life and career. They are an essential, continued source of reference for me, and highly recommended. In particular, if you really want to understand the way personal finance works, i’d suggest you read the books in the ‘Life’ section, I really regret having left it so late to read them. The definitive best-practices guide to enterprise data-management strategy. 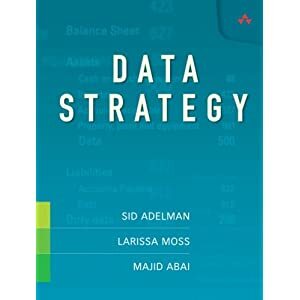 In this book, three renowned data management experts walk you through creating the optimal data strategy for your organization. Using their proven techniques, you can reduce hardware and maintenance costs, and rein in out-of-control data spending. You can build new systems with less risk, higher quality, and improve data access. Best of all, you can learn how to integrate new applications that support your key business objectives. 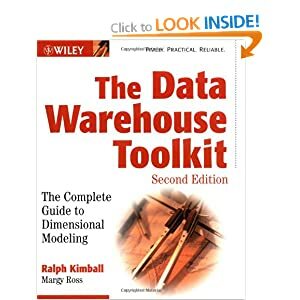 The book covers the ‘how to’ of data warehousing, but the thing that makes the book excellent is that it places this information in the context of the lifecycle of typical data warehouse projects. The book is long… very long. But everyone on data warehousing projects should read this book, if only to encourage a common mindset. The examples and templates are also very useful. Dimensional modelling is the key to designing conformed dimension data warehouses. 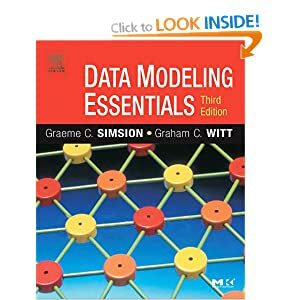 This authoritative book covers dimensional modelling in great depth, but at the same time is very accessible. You will want it by your side to reference its examples of how to cope with various scenarios. 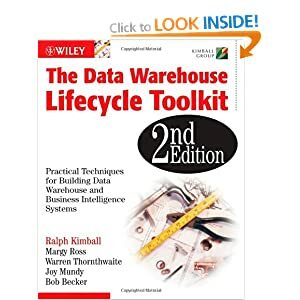 ps The companion volume, the DW Life Cycle Toolkit by Kimball & Ross, covers higher level aspects of data warehousing, and is just as good. 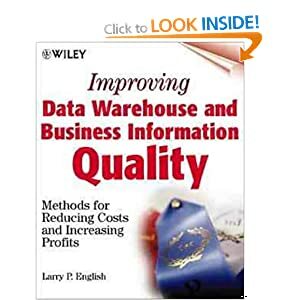 Anyone who has had the pleasure of hearing Larry English speak on the subject of Information Quality will know that he is one of the leading and most passionate advocates of the need for high information quality as the foundation of a profitable business. As we enter the age of eBusiness,companies can no longer hide their information quality problems from their customers. Successful eBusiness companies will be those who recognise and manage information as their key strategic asset. This book is essential reading for all who are serious about profitable survival in the information age. Larry writes as he speaks – with knowledge, conviction and pragmatism. This book should be read by all who are concerned about information, whether senior corporate executives, business information managers or IT specialists. The book is full of practical answers to problems and is of great value whether you are leading a major cross-enterprise information improvement drive or trying to enhance quality within a specific data warehouse or system. Strongly recommended. Data Warehousing has been around for 20 years and has become part of the information technology infrastructure. Data warehousing originally grew in response to the corporate need for information–not data–and it supplies integrated, granular, and historical data to the corporation. There are many kinds of data warehouses, in large part due to evolution and different paths of software and hardware vendors. 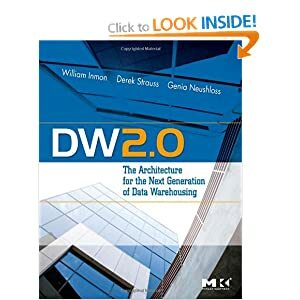 But DW 2.0, defined by this author in many talks, articles, and his b-eye-network newsletter that reaches 65,000 professionals monthly, is the well-identified and defined next generation data warehouse. The book carries that theme and describes the future of data warehousing that is technologically possible now, at both an architectural level and technology level. The perspective of the book is from the top down: looking at the overall architecture and then delving into the issues underlying the components. The benefit of this for people who are building or using a data warehouse can see what lies ahead, and can determine: what new technology to buy, how to plan extensions to the data warehouse, what can be salvaged from the current system, and how to justify the expense–at the most practical level. 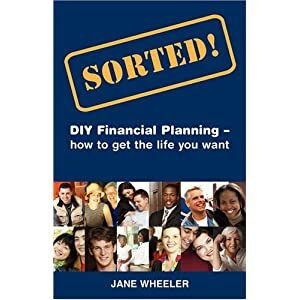 I found this a really helpful book with lots sensible advice to sort and control your finances. Although there is some technical information, the main focus was looking at what I wanted to achieve with my money, and the life changes required to do that. The Number: What Do You Need for the Rest of Your Life, and What Will It Cost? that financially savvy readers can skim the fiscal advice, while those who are unfamiliar with retirement financial planning could read it more slowly (though not as the last word on the subject). 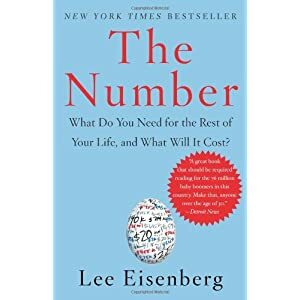 While you are pondering feathering your nest for the long term, you may want to give more attention to Eisenberg’s thoughts on purpose than to his thoughts on payoffs. 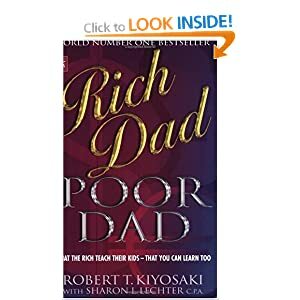 This is no get rich quick book for those looking for an easy fix to their money problems. 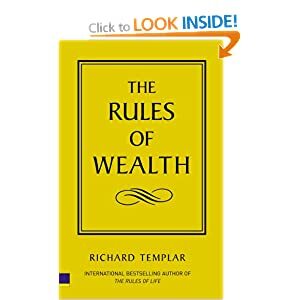 It is, however, a guide book for those wanting to set of down the right road to massing wealth – and you’re never too old to do this it appears. 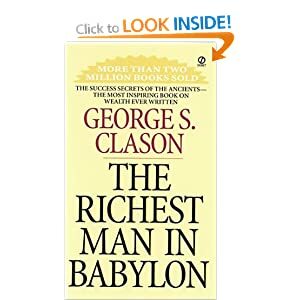 If you follow this book, you will end up richer if you follow all the strategies in the book. Although, it’s not going to happen over night, next week or two three months down the line. It’s a long term investment. This book educates the reader about the way to improve one’s personal finances. It uses a parable format to explain how two friends learnt how to improve their poor financial situation. They sought the advice of a friend whose wealth appeared to be limitless. Amongst the parables are references to modern day examples. It was the letter sent by the English University Professor that I found most inspiring. The writing style is old English. This does make it hard to follow at first. It will take a chapter or two to ‘get to grips’ with the style. From there on it is easy and will soon become easy to read. It is not a long book so will start slow and finish fast. I can highly recommend anyone to read this book. The advice offered is simple. If followed it will inevitably lead the reader to an improved financial future. I felt empowered and richer as soon as I read the final words. I will not be offering this book for resale as I continually refer to the sound advice that has lasted thousands of years. I picked up my copy on Friday, after months of having it on my `to do’ list. By Sunday I was amazed with the things that I had learned – not just from what Robert teaches, but from the new way of thinking that this book gives you. There is a lot in there about investing – something that I will get into soon, however just by applying what I have learned from this book into my company has already boosted profits and that’s just in a few days and around all of the other stuff that I have to do to run my business. Page by page the book gave me a new feeling of excitement that renewed and intensified my passion for success. This book is not for everyone, especially those that don’t want achievement, however if you want success then I would say that it is a must read – just don’t wait as long as I did to get you hands on it!